In collaboration with the ministry of domestic affairs, we make sure that consumers can safely make a copy of their ID. In the copy, it is possible to cross out identity data that the consumer wishes to not share with the organizations involved. It is also possible to place a watermark with the goal of the transfer of ID info and the date of the copy. 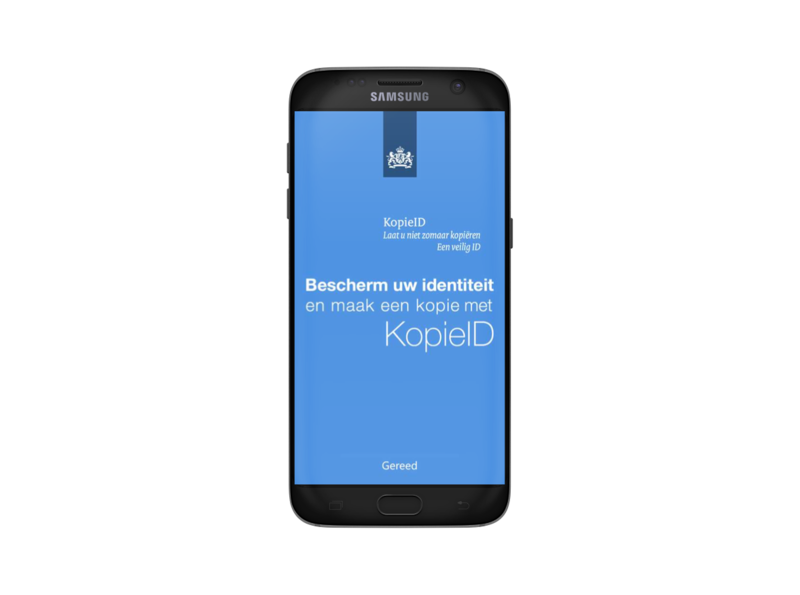 Thanks to the KopieID app it will become harder to commit identity fraud. Watermark intended for receiver or target. Immediately send a copy of your ID with the app. Secure your identity with just a few clicks.